China is the world's most "dammed" country, yet its future is drying up. China boasts more dams than the rest of the world combined. Before the Communists came to power in 1949, there were only 22 dams of any significant size in China. But now China has more than half of the world’s almost 50,000 large dams. This feat means that China has completed on average at least one large dam per day since 1949. 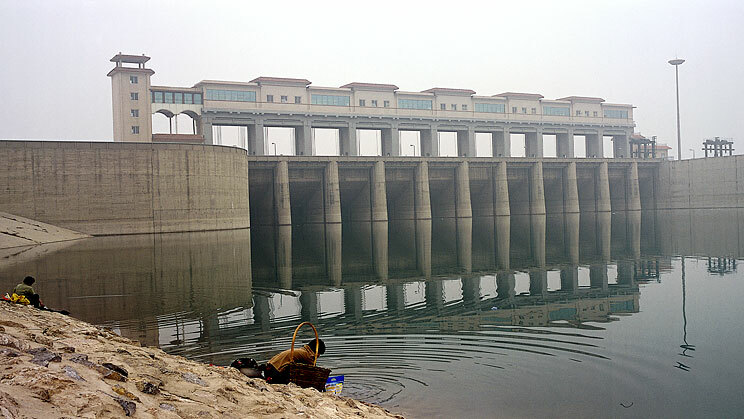 If dams of all sizes are counted, the number in China surpasses 85,000. According to Wen Jiabao, China has relocated a total of 22.9 million citizens since 1949 to make way for water projects. So, by official count alone, 1,035 citizens on average have been forcibly evicted daily in the past 62 years for water projects. China is also the global leader in exporting dams. Its state-run companies today are building more dams overseas than the other international dam builders put together. China is also the global leader in exporting dams. Its state-run companies are building more dams overseas than all other international dam builders put together. Thirty-seven Chinese financial and corporate entities are involved in more than 100 major dam projects in the developing world. Some of these entities are very large and have multiple subsidiaries. For instance, Sinohydro Corporation — the world’s largest hydroelectric company — boasts 59 overseas branches. Both the profit motive and a diplomatic effort to showcase its engineering prowess drive China’s overseas dam-building efforts. China’s declared policy of “noninterference in domestic affairs” actually serves as a virtual license to pursue dam projects that flood lands and forcibly uproot people — including, as with Myitsone, ethnic minorities — in other countries. But it is doing the same at home by shifting its focus from dam-saturated internal rivers to the international rivers that originate in the Tibetan plateau, Xinjiang, Inner Mongolia, and Manchuria. As a result, the overseas projects often serve to inflame anti-Chinese sentiment, reflected in grassroots protests at several sites in Asia, Africa, and Latin America. Moreover, by using a Chinese workforce to build dams and other projects abroad — a practice that runs counter to its own “localization” requirement, adopted in 2006 — China reinforces a perception that it is engaged in exploitative practices. The social costs have been even higher, a fact reflected in Chinese Prime Minister Wen Jiabao’s stunning admission in 2007 that, since 1949, China has relocated a total of 22.9 million Chinese to make way for water projects — a figure larger than the populations of Australia, Romania, or Chile. Since then, another 350,000 residents — mostly poor villagers — have been uprooted.